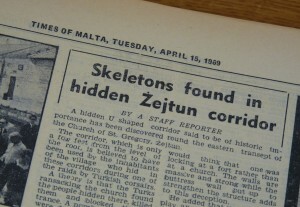 Skeletons found in hidden Żejtun corridor reported the Times of Malta on Tuesday, 15 April 1969. 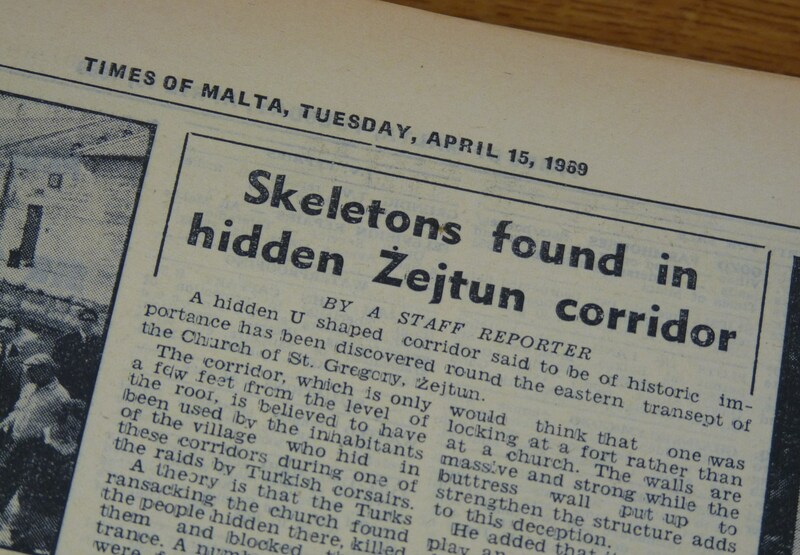 A photo of sacristan Ġann Marì Debono holding a skull in his hand accompanied the news of this remarkable discovery which up to this day is still shrouded in mystery and imbued with controversy. I have been investigating and researching this find, often by interviewing persons who declared to have been involved in this discovery. My findings were discussed during a national symposium which was organized by Wirt iż-Żejtun in 2014 and later published in the book The Turkish Raid of 1614 which was issued by the same NGO. 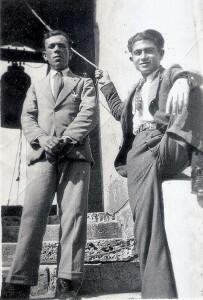 I never got the opportunity to talk to Ġann Marì Debono since he passed away in 2001, at the age of 78. 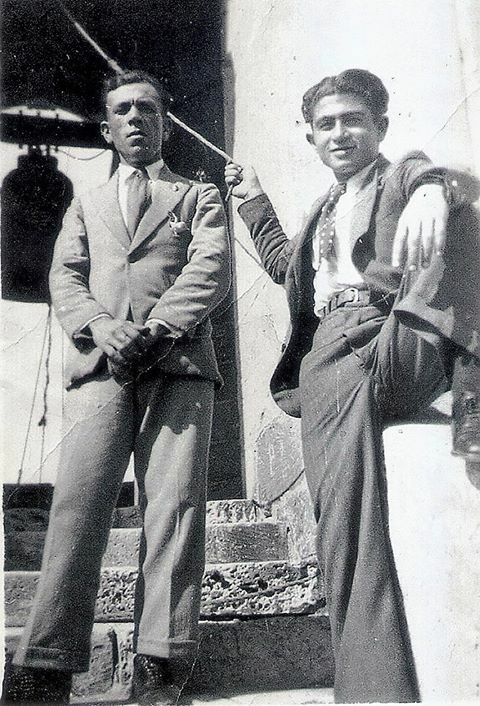 Therefore, I accepted gladly the invitation of his eldest son Charles Debono who offered to share with me his father’s story. Along the years, the old church of St Gregory which originally was the parish church of the village, had become neglected. 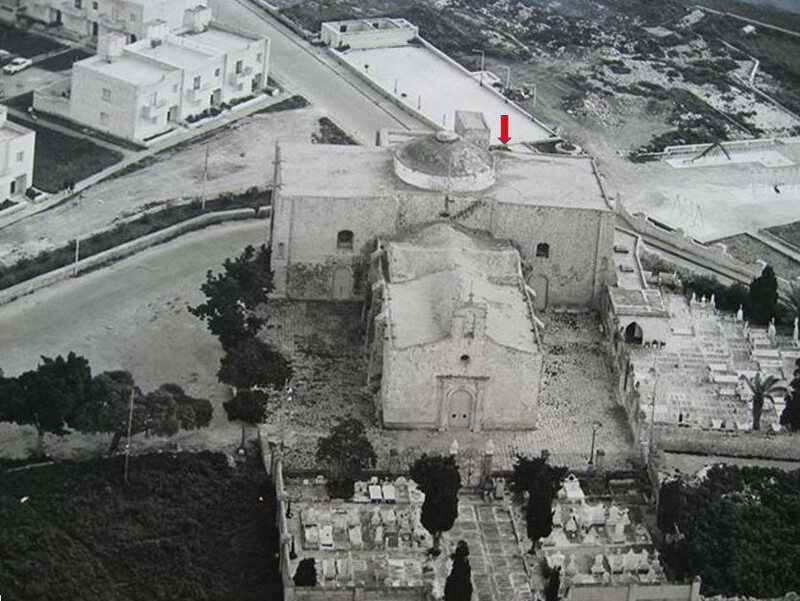 Time would reveal that this was an impossible task since the human remains were actually buried around the roof and not around the dome. When Charles visited the passages with his father, he noticed that the skeletons seemed to be lined up near each other along the corridors, as if someone had arranged them in that way. There was about 3 centimetres of dust which had collected in the corridors along the years during which the passages were blocked and closed away. 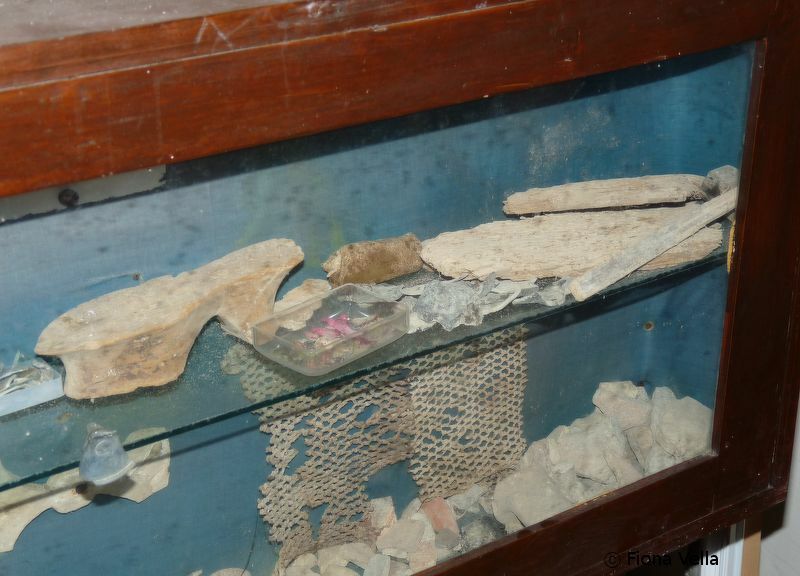 Within this dust, a wooden shoe sole with a high heel, a small gilded wooden cross of Byzantine design, odd bits of a gilded wooden frame (perhaps an icon), three coins: two bronze with the cross of the Order, the other gold, but very worn out that it cannot be deciphered, pieces of pottery of the 16-17th century, fragments of animal bones, and a part of a chain mail armour vest, were discovered. 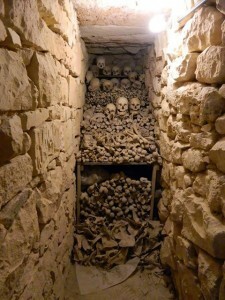 To avoid them being trodden, Debono picked up all the human bones and stacked them at the end of the third corridor. Yet the story does not end there…. In 1978, paleopathological studies were done on these human remains by Seshadri Ramaswamy and Joseph Leslie Pace. These experts concluded that the bones appeared to have been exhumed from a cemetery and placed in the passages. 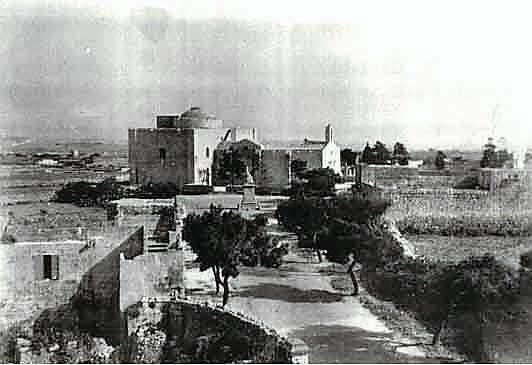 However, others find this conclusion hard to believe and they insist that these remains possibly belong to a group of people who were trapped in these corridors whilst hiding there during an Ottoman attack on the village in 1614. 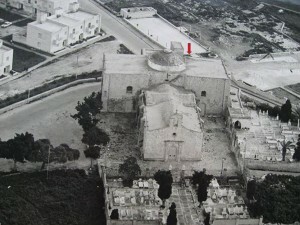 Every Wednesday after Easter, the traditional feast of St Gregory is celebrated in this historical church in Żejtun. Probably few of those attending are aware of the secret passages and the human skeletons lying within. Considering that 49 years have passed from this discovery and that several scientific tools are now available to provide more conclusive results, including perhaps dna tests to trace family ancestry, isn’t it time to resolve this mystery by identifying who are these people and how they ended up in these passages?